Where is Firefly Sunset Resort? 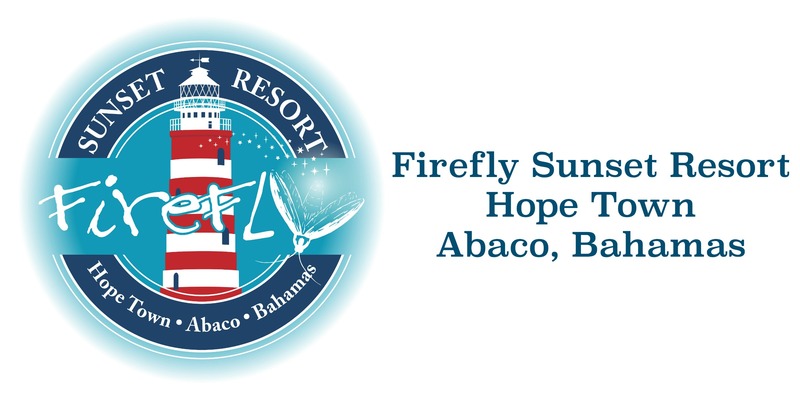 Firefly Sunset Resort is located on Elbow Cay. Elbow Cay is home to The Abacos’ most famous landmark—candy-striped Elbow Reef Lighthouse in Hope Town, built in 1862. It stands at 89 feet and is one of only a handful of manually operated lighthouses in the world. The Abacos are a group of islands and cays that form a 120-mile–long chain stretching over 650 square miles. The only way to access our location is via boat. When you arrive in Marsh Harbour, take a taxi or rent a car to the ferry dock or boat rental location. Be sure to have cash on-hand for trips and rides. Many in the area do accept debit and credit cards. Read more HERE. Since your pet-friendly resort, what do I need to do before traveling with my pet to the Bahamas? Hope Town does offer a small grocery along with liquor stores. However, if your stay will be a week, it’s suggested that you shop at the grocery in Marsh Harbour to pick up what you will need. We do offer concierge services like grocery shopping, but you will need to provide a list to us prior to your arrival. More on concierge services here. Once in Hope Town, what mode of transport do we use? Since Elbow Cay is a small island, visitors use golf carts to get around the island. We can arrange golf cart rentals for you. In the Bahamas, vehicles drive on the left side of the road. You can also use bikes. I’ve tried calling the resort or Firefly Bar & Grill but no one is answering the telephone. Why? Every so often, our electricity on the island is hindered by weather and reasons unknown, leaving our phone system to also go down with the electricity. Trust us, we’re not ignoring you. We want to hear from you. In case you run into the situation where you need information and our phone lines are down, please contact us via email at info@fireflysunsetresort.com. Also note, as much as we love getting messages via our Facebook page or Twitter direct message, we want to make sure you get the help you need immediately, so please email us if it is urgent in any way. It may take us up to 24 hours to return messages from social media.